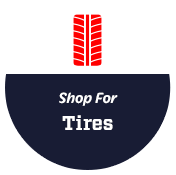 All American Tire & Wheel makes caring for tires easy with free tire inspections. If you're not sure how much tread you have left or whether you're driving on underinflated or overinflated tires, stop by and find out at no cost to yourself. Nitrogen inflation is available. For tires in Knoxville, TN, choose All American Tire & Wheel, the premiere tire and wheel shop in Tennessee since 1996! We sell and service tires and wheels while providing auto repairs to families from Knoxville TN, Sevierville TN, Alcoa TN, and the surrounding areas of Powell TN, New Hopewell TN, Karns TN as well as Southeastern KY. We pride ourselves on doing every repair with quality, honesty, and integrity. We have the largest selection of wheels in a 100-mile radius. If new wheels aren't in your budget, we have an impressive selection of used wheels. 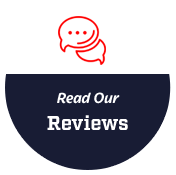 As a tire dealer, we carry new tires from Nitto, Toyo, Capitol, and other major brands and have an impressive selection of used tires. Our technicians handle wheel alignments, lube and oil changes, other preventive maintenance, brake repairs, and general repairs. We have lift kits, leveling kits, and lowering kits available. You can count on us to always be open and honest and to stand behind our work. All American Tire & Wheel is conveniently located at 5701 North Broadway St. in Knoxville, TN. We’re open Monday through Friday 9:00 AM to 6:00 PM and Saturday 9:00 AM to 3:00 PM. We have free Wi-Fi in our waiting area.